It’s spring time!!! Fresh air in the house, flowers growing in the front yard and the return of the outdoor farmers market. Take a deep breath, pause, and let it out. Feels great, does it not? It has been really great these last two days, minus some killer wind, but the fresh air and higher temps are doing wonders for my mindset. Hanging out with the baby and the dog on the porch, sipping on a smoothie and brainstorming lots of great stuff for HungerThirstPlay. Living in New England has been a huge influence on my cooking. Winter, spring, fall, summer – each season has it’s own personality, perks, and occasional downfalls. More importantly (to me anyway) are the coordinating food flavors. In spring we put the heavy comfort food on the back burner and bring fresh, light flavors to the kitchen. 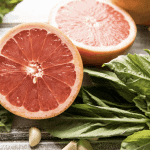 Besides just healthier eating, fresh and light flavors are so delicious! Crisp lettuce, tangy citrus, creamy cheese…oh I could go on all day. But I won’t, you’re here for a recipe not a epic. Which brings me to lemon curd. 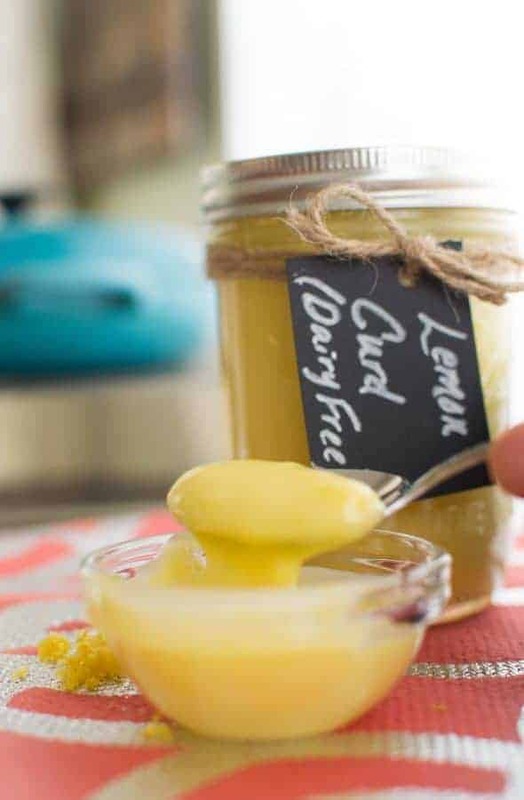 You should definitely have lemon curd in your life, if you don’t already. Seriously though, the addiction level is that of buffalo chicken dip, but sweet…and with lemons…and nothing like buffalo chicken dip except that you could probably serve it out of an old shoe and I would still eat it. All that aside, it’s also the perfect weekend breakfast accompaniment. 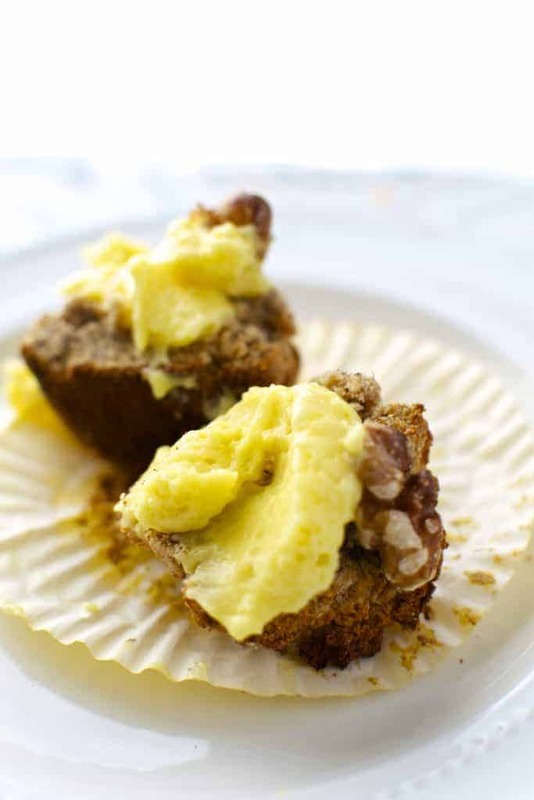 Muffins, scones, pancakes, granola, yogurt, toast…need I say more? Well perhaps just a few more thoughts. 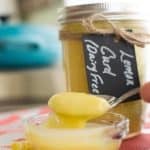 The thing I love about this lemon curd it packs a decent punch so it makes a great companion for sweeter dishes. The lemon curd filing with the sweet apricot glaze on this fruit tart is a home run. The even better part is that this recipe is dairy free, so I don’t have to worry about my girl J’s tummy being all crazy on our post-brunch run. Whether or not you are friends with dairy, this recipe tastes just like the real thing – velvety, tangy and sweet! 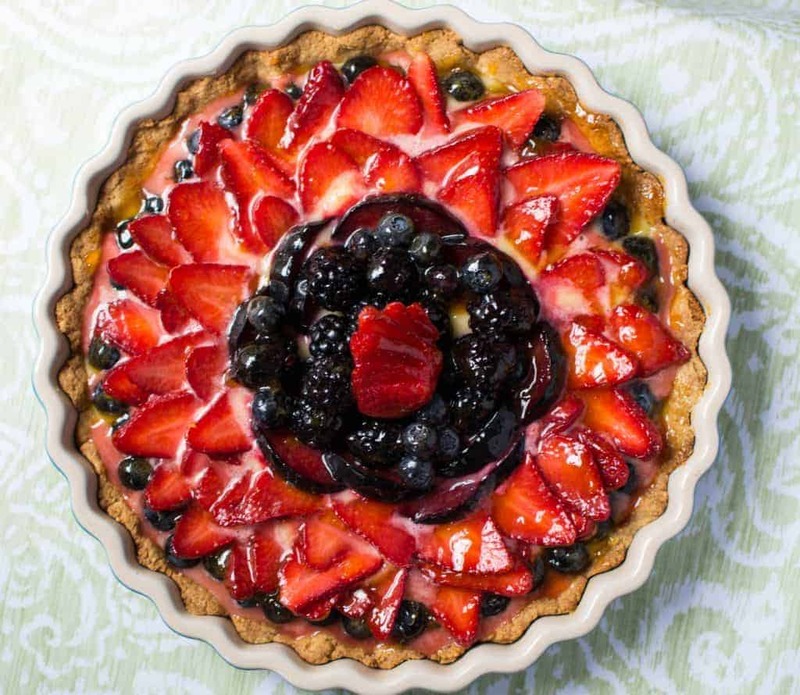 Lemon curd is the perfect pillow for fresh sliced fruit on a light, flaky tart! Skip the gym? Get your arm workout in whisking up this light and fluffy, tangy and sweet, no-dairy spread! Prepare your zest and lemon juice, set aside. In a double boiler (large bowl set over a large sauce pan with about 2″ just simmering water), whisk the sugar, eggs, and egg yolks until pale and thickened. About 8 to 10 minutes. Add one cube of butter at a time, whisking until incorporated before adding another cube. Once all butter is incorporated add lemon zest. Slowly whisk in lemon juice. Continue whisking mixture until thick ribbons start to form, about 20 minutes. Be very careful not to overcook, leave unattended, or have the head too high or the eggs will scramble. Remove curd from heat and strain through a sieve to remove the zest. It is important to continually whisk throughout the entire cooking process. If the water gets too hot, lower the heat and whisk the mixture off the heat for 15 seconds before returning to your double boiler set up. When lemon curd begins to set up, the zest can make the eggs look like they are starting to scramble. Coat the back of a spoon to check.